Aria’s name meaning is defined as a long, accompanied song for a solo voice, typically one in an opera. We kept this in mind when initiating the atmosphere. We serve Italian food that is authentic and our selections are parallel to the food, culture and atmosphere of the country of Italy. Italian cuisine has developed through centuries of social and political changes, with roots as far back as the 4th century BC! Just like the cuisine of Italy is noted for its regional diversity with an abundance of difference in taste we also serve a variety of authentic cuisine from delicious Italian pizza and scrumptious spaghetti in accordance to the varying geographical conditions of the twenty regions of Italy. Being mindful of the strength of Italy’s local traditions we have a wide range of dishes paired with a variety of wines to tantalize your tastebuds. Our authentic Italian food is something that you will definitely keep coming back for as it may even take you away to the beautiful country of Italy! Italian cuisine has influenced food culture around the world and is viewed as a form of art by many. The City of Vaughan Economic Development Department is your source for business information and assistance. Our goal is to help local companies grow, by bringing together businesses, organizations, government and community to achieve bold results. Through our international business development program, we are creating meaningful commercial linkages between Vaughan and Italy, and enabling local companies to easily access foreign markets and greater economic opportunity. For more information, please visit www.vaughan.ca/business. Jan K. Overweel Limited specializes in the importation and distribution of cheese products. The company also carries an extensive selection of grocery products, tomatoes, pasta and rice products and most recently, Italian Parma prosciutto, and cured meat products from Europe. It was 22 years ago that NOCE on Queen West with one goal in mind: To serve our customers with the freshest food available and to recreate as much as possible, the flavours of Italy, together with the most courteous and friendly service. Last year, we decided that it was time for a rejuvenating facelift, but it was our passion for food that lead us to restoring live wood-fire cooking to a place of honour on Queen West. The oldest and most primitive method of cooking known, this unique experience combines uncompromised old-world flavours with innovative menu offerings. Unico, since 1917 is Canada’s leading brand of Italian and Mediterranean foods. Primo, established in 1954 is one of Canada’s leading brands of quality pasta and pasta sauces. Both are part of the Sun-Brite foods group of companies based in Ontario. CHIN Radio/TV International is Canada’s first multicultural radio station. Started in 1966 by the late Johnny Lombardi, CHIN Radio/TV International paved the way for multicultural broadcasting in Canada. Today, CHIN Radio broadcasts in over 32 languages across its two frequencies, AM 1540 and FM 100.7 in Toronto. In 2003, CHIN Radio expanded and opened a sister station in Ottawa (FM 97.9), the very first third language radio service in the nation’s capital, serving over 18 languages and cultures in the Ottawa/Gatineau region. The contribution of CHIN Radio to the cause of multiculturalism, understanding and tolerance between people of many national, racial and religious origins has been recognized and acknowledged throughout Canada. Worldwide, CHIN Toronto Radio AM1540 and FM100.7, as well as CHIN Ottawa CJLL 97.9FM, are all carried live over the internet on www.chinradio.com. Toronto is Canada’s largest city, the fourth largest in North America, and home to a diverse population of about 2.8 million people. It is a global centre for business, finance, arts and culture and is consistently ranked one of the world’s most livable cities. The City of Toronto is committed to creating an environment for business to succeed and culture to thrive. The services, programs and initiatives provided through the City’s Economic Development & Culture Division heighten Toronto’s ability to encourage job creation and support the economic and cultural well-being of the city. For information on Toronto’s services visit www.toronto.ca. Empire Communities has established a tradition of creating award winning homes, communities and amenities and has earned a reputation for outstanding attention to detail and customer service. EPS AB Energy Canada Ltd is the Canadian subsidiary of AB Group – the Italian leader in engineering, manufacturing & maintenance of top quality cogeneration solutions and biomethane upgrading systems as well as in the after sale assistance, having its Headquarter and industrial facility in Orzinuovi, Brescia, Italy. With more than 1,250 installed plants in 20 different Countries across the world (including Italy, USA, Canada, Brazil, Mexico, UK, Germany and Russia), approx. 1,600 MW installed (more than 100 MW in Canada) and almost 900 employees, AB’s market presence covers both the more industrialized areas and emerging markets, representing the best solutions for those companies that want to improve their competitiveness, while saving energy and reducing emissions to the environment. Over the last 30 years AB has developed know-how and production skills that are now unrivalled in the market, ensuring high quality installations, excellence in plant operations, and impeccable after-sales service. A team of more than 140 engineers work within an interdisciplinary framework to produce quality solutions tailored to the needs of the clients, most of which are worldwide leaders in their own fields and business industries such as food and beverage, greenhouses, pharmaceutical, textile, leather, plastic, waste management, district heating, hospitals, etc. For over two decades, Inter-Transport Ltd. has provided freight forwarding and logistics services to large and small businesses, across Canada and around the world. Our commitment to providing personalized service, and exceeding customer expectations, together with our industry experience is our foundation and our future. Not just delivering from point A to point B but giving our customers the assurance that when they call Inter-Transport our reliable, professional and courteous team is always ready to handle all of our customer’s needs. Luxury Coach is a leader in transportation co-ordination and service. Their luxury coaches can accommodate up to 24 passengers and can include amenities such as beverage and food service. They also provide 25 to 56 passenger Highway coaches, sedans, limousines, vintage automobiles, mini-vans and club vans. The Pizza Nova story began in 1963 when a young Italian family opened the very first Pizza Nova restaurant. Today Pizza Nova is still family - owned, represents over 140 locations across Ontario and specializes in hand-tossed Italian style pizzas that are complemented by an extensive menu of proven favourites. Our 55+ years of success continues as a direct result of our uncompromising commitment to providing the highest quality product made from only the finest quality ingredients. In 2015 we became the first Canadian pizza company to introduce pepperoni sourced from beef and pork raised without the use of antibiotics or added hormones. We have since expanded our ‘Raised Without Antibiotics’ profile to include bacon, chicken wings, chicken pollini, grilled chicken, and smoked ham. We truly believe that you will “Taste the Difference” at Pizza Nova. The Policaro Automotive Family is a world-class automotive retail group with strong performance and excellent customer satisfaction within the communities we represent. With eight automobile franchises embracing 7 automobile brands – Acura, Honda, Hyundai, Lexus, Scion, Toyota and Porsche (the latter to open in Oakville in the fall of 2012). We have been building and operating successful automobile dealerships around common principles: A single minded dedication to customer service and the enduring belief in the value of strong relationships with our customers, our community and our manufacturing partners. Our state of the art facilities is home to over 296 highly trained, motivated and inspired employees, each proudly carrying the Policaro Automotive Family banner as brand ambassadors, both in and outside of the dealerships. Each person is living proof of our family approach, and each shares a commitment to the philosophy that has made these businesses such a success, together creating an environment where a warm greeting and a handshake are more powerful than any signature. Scotiabank is Canada’s international bank and a leading financial services provider. With over 90,000 employees, Scotiabank and its affiliates serve some 21 million customers in more than 55 countries throughout North America, Latin America, the Caribbean and Central America and parts of Asia. Scotiabank offers a broad range of products and services including personal, commercial, corporate and investment banking. Switzerland Cheese Marketing Inc. is a company which brings to Canada premium natural cheeses from Switzerland and Italy by engaging and nurturing consumers about the history, culture and their usage. The Switzerland Cheeses senior team are always on the move, travelling the nation and the world to bring Italian and Switzerland Cheeses and recipes to communities everywhere. Established in 2004, ASCA Office Solutions Inc. is recognized as one of Canada’s premier providers of brand name Computer Supplies, IT Solutions, Printing Supplies, Paper, Office Supplies and Office Furniture. ASCA has been verified in 2014 as the 8th fastest growing company in Canada and has continued to grow with our prompt customer service. Founded in 1871, Banca Popolare di Sondrio is one of the first Italian banks inspired by the cooperative banking movement in Italy and has roughly 660 million euros of capital. The Italian Contemporary Film Festival is a Toronto-based non-profit organization that celebrates the history and diversity of Italian culture through an annual showcase of the best of Italian cinema. The ICFF coordinates a 10-day festival in June, in 7 cities around Canada. The ICFF has experienced unprecedented growth since its inception in 2012, winning critical acclaim and swelling spectatorship with each successful festival. Back this year for its 5th edition, the ICFF is sure to be the biggest and best yet, as it is proud to partner with some of the most established arts & culture organizations in Canada including TIFF, the Montreal Museum of Fine Art, Cineplex, and the Niagara Integrated Film Festival, and many quality Canadian sponsors. KPMG LLP, an Audit, Tax and Advisory firm (kpmg.ca) and a Canadian limited liability partnership established under the laws of Ontario, is the Canadian member firm affiliated with KPMG International Cooperative (“KPMG International”). KPMG member firms around the world have more than 174,000 professionals, in 155 countries. Masters Insurance Limited prides itself on integrity, knowledge, and expertise in servicing the insurance needs of Canadians. For more than four decades, Masters Insurance has specialized in providing insurance and surety solutions for general contractors, developers and homebuilders as well as personal home and automobile insurance to its loyal clientele. Made in Italy and serviced in Canada. A Celebrity Limousine was established in 2000 and has diligently grown into the most reputable limousine service in Southern Ontario. The Italian heritage has truly guided and set the trends of the social aspect of our service allowing us to showcase its value to the rest of our clientele. An array of luxury vehicles in all sizes ranging from luxury sedans to limousine buses are available for various social occasions and corporate events. The highest standard of professionalism is performed on every service. Our passion for high quality and style have been the driving force to attain and surpass every clients’ expectation. We are excited to serve our fellow ICCO members and invite you to experience A Celebrity Limousine Service. Air Canada is Canada’s largest airline and the largest provider of scheduled passenger services in the Canadian market, the Canada-U.S. transborder market and in the international market to and from Canada. In 2014, Air Canada together with its Air Canada Express regional partners carried more than 38 million passengers, offering direct passenger service to more than 190 destinations on five continents. Air Canada is a founding member of Star Alliance™, providing the world’s most comprehensive air transportation network.Air Canada has major hubs in four Canadian cities (Toronto, Montreal, Vancouver and Calgary). Its extensive global network provides scheduled passenger service directly to 64 Canadian destinations, 52 destinations in the United States and 78 in Europe, the Middle East, Asia, Australia, the Caribbean, Mexico, Central America and South America. Air Canada and its Air Canada Express regional partners operate on average 1,500 scheduled flights each day. Together with its Star Alliance™ partner airlines, staralliance.com, Air Canada offers service to 1,321 airports in 193 countries and provides reciprocal top tier frequent flyer benefits. Alitalia is the largest airline in Italy and operates one of the most efficient fleets in Europe including B777 and Airbus A330 used for Long Haul travel. Alitalia is a member of the SkyTeam Alliance and in 2010 Alitalia joined Air France - KLM and Delta Airlines as part of the airline industry’s leading Transatlantic Joint Venture. Upon arrival at Rome Fiumicino Airport from Toronto, travelers can take advantage of connections to 27 cities in Italy and over 1,000 destinations in cooperation with airline partners. Italian style, comfort and elegance are always present on board. From award-winning menus featuring regional Italian cuisine, to linens designed by Italian luxury brand Frette, tableware designed by Richard Ginori, and an amenity kit with personal care items by Salvatore Ferragamo. On Long-Haul flights, Alitalia offers three classes of service: Business Class, Premium Economy, and Economy. In Business Class travelers enjoy all-aisle seats that convert to true flatbeds and the new “Dine Anytime” service, Premium Economy allows travelers to experience a quiet journey in a separate cabin with 40% more space than Economy and Economy features redesigned cabins in warm and inviting colors with an enhanced meal service. Wi-Fi and international roaming is available on board along with a wide selection of inflight entertainment options. Visit: www.alitalia.com to learn more. An immigrant from Sicily, Nunzio Tumino and his wife used the little money they had to open a grocery store in Toronto’s west end. On his trips back to Italy, Nunzio was often asked by his immigrant customers to bring back specialty foods they desperately missed. A fruit wholesaler once asked Nunzio to ship 400 bags of Italian chestnuts back to Toronto. When bad weather delayed the delivery, the wholesaler backed out and Nunzio was stuck with bags of chestnuts! Luckily, the holiday season was approaching and no one could resist the quality product. Nunzio sold all the chestnuts and was able to turn a disaster into a lucrative opportunity. This inspired Nunzio to start a food importing business that would share the best Italian products with Canadians. Eventually, Nunzio would devote himself to building one of the first major importing companies in Canada. Today Aurora has warehouses and facilities in Mississauga, Montreal and Vancouver. Aurora now has a line of over 4,000 products including oils, pasta, tomatoes, coffee, condiments, soup, risotto, and confectionery. Celebrating over 60 years, Aurora’s presence continues to grow with plans to expand to Western Canada, the U.S. and into drug, mass and club stores. Bell is Canada’s largest telephone and telecommunications company and offers a wide range of business and residential services including internet, wireless and satellite television. Everything we do, throughout all of the phases of construction, has to do with giving out clients the best possible chance at experiencing their vision-come-to life. The only way to accomplish the task is to build strong relationships form start to finish with everyone involved. Clients, architects, designers, and vendors must all partner together towards the goal. 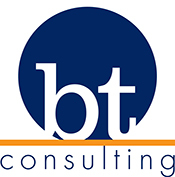 BT Consulting is a team of professionals specializing in subsidized financing and business consulting, especially for start-up and the implementation of new business projects both in Italy and abroad, financed by European funds, national and regional. The study has as partners the small and medium enterprises and aims to create value for them and with them, supporting them in the development process and economic growth, both for business projects already underway and for the creation of start-up. They offer: Project Analysis; Planning (Business Implementation Plan or Project Plan); Business consultancy for restructuring and economic-financial planning; Implementation, monitoring, reporting of projects financed by European funds, national and regional; Support the definition of the strategy for the simplification. Cambridge Global Payments is a leading provider of integrated cross-border payment services and risk management solutions. As a trusted partner for close to 25 years, Cambridge delivers innovative solutions designed to mitigate foreign exchange exposure and address unique business needs. Our award-winning capabilities and industry-leading technologies simplify the way businesses connect with the global marketplace. As one of the largest bank-independent providers globally, we are flexible and responsive, with offices across North America, Europe, and Australia. Learn more at cambridgefx.com and follow us on Twitter and LinkedIn. Bergamo Chamber of Commerce is an independent public institution, which represents and looks after the general interests of the province’s businesses and promotes their development. The services provided by the Chamber fall into two large groups: administrative services required by the law and promotional services, carried out to help foster the growth of enterprises. Our province is located at the centre of Lombardy, one of the richest and most dynamic region of Italy and of the entire European Union. Campari Canada serves as the nationally-focused extension of global beverage leader Gruppo Campari. Designed to fortify the Gruppo Campari legacy across the national landscape, Campari Canada serves as owner, importer and marketer of a diverse portfolio of over 50 internationally recognized brands spanning across all fine spirits categories. Among them, its Canadian spirits company, Forty Creek Distillery Ltd., known for its award-winning range of complex, yet approachable whiskies. With the Grimsby, Ontario-based Forty Creek location serving as the company’s bottling plant and warehouse, and corporate office headquartered in Toronto’s bourgeoning Liberty Village, Campari Canada continues in the Group’s steadfast commitment to building lifestyle brands and people with passion. Its portfolio includes: Campari, Aperol, Wild Turkey Bourbon, SKYY Vodka, Carolans Irish Cream, Appleton Estate Jamaica Rum, Forty Creek, Espolòn Tequila. Centennial College is Ontario’s first community college. Established in 1966, Centennial serves the eastern Greater Toronto Area through four campuses and satellite locations throughout the GTA and Pickering. Our mission is to educate students for career success and we do this by offering applied, practical post-secondary and post-graduate programs. Our curriculum, teaching and services are all geared toward supporting the career and personal development of our students and producing future leaders. 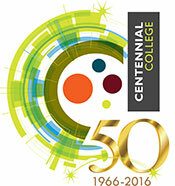 Centennial offers 250 full and part-time applied degree, diploma and certificate programs. Students study business, media and design, community and health studies, science and engineering technology, general arts, hospitality and transportation. Today, Centennial is home to more than 19,300 full-time students annually, including 6,000 international students, as well as 20,000 continuing education students who chose Centennial to pursue their educational and career goals. We help clients navigate through inevitable market challenges by providing perspective and keeping them committed to a long-term investment plan. Our emphasis is on building a practice based on long-term client relationships. As your professional advisory team, we will coordinate the financial planning process with you and help to identify your goals to implement strategies that will help you realize your vision for the future. We help business owners invest in a tax efficient matter to create retirement income from various sources and determine strategies for transitioning wealth to the next generation. We can recommend a wide range of investment and insurance strategies through objective advice. The combination of our experience and professionalism, together with the strength of one of the largest and most respected firms in the financial industry, ensures our clients the highest level of trusted advice to help build a secure financial future. Every day about 10,000 companies rely on Confartigianato Imprese Varese to work together, share ideas and projects, encourage new technologies, learn to use the web, e-commerce and marketing even better. Solving everyday problems related to the management company. We are one of the largest entrepreneurs’ associations in Italy who for over than 70 years represents their interests, helps them in their competitiveness, creates solid and innovative business networks. Raising awarness of public opinion and institutions on what they ask businesses in terms of innovation, internationalization, credit, cooperation and local taxation. Confartigianato Varese helps foreign companies orienting themselves on the Italian market, to understand what are their products that may be more effective in Italy and to prepare a development plan to increase their business. Tools for your business: analysis of the companies that are interested in being a partner in Italy. Organisation B2B to put in contact with each other the excellences of different countries. Assistance in the paperwork and in formalizing the contracts. Planning events, fairs and missions by solving all the problems related to the event right choice for businesses, the practical processing, the organization of the stand, the selection of the promoter and logistics. Since 1969, Coolbreeze has been a leading force in the heating, ventilating and air-conditioning industry. The company prides itself on being a leader in applying innovative techniques and ideas in a constantly changing industry. De’Longhi is an international leader in household small appliances with a presence in over 123 countries and products in three main categories: espresso machines, specially cooking and home comfort. Building its global reputation as a cutting-edge leader in innovation, product design, and performance – De’Longhi remains committed to creating innovations that bring convenience and style into every customer’s home, making the everyday better. Desjardins is the leading financial cooperative in Canada. Located in the heart of Toronto's financial district, Desjardins Financial Centre - Toronto is a place of financial expertise where you'll find a comprehensive range of products, services and specialized advice. For over 35 years Distinctive Appliances remains one of the most influential and successful distributors in the premium home & outdoor appliance industry. As Canada's largest independent distributor, they offer a diverse product line-up of mid-priced to high end appliances, proudly including six outstanding lines direct from Italy, leveraged with a robust infrastructure designed to support the most trendsetting consumers, builders, and designers. “When we design a kitchen, we also consider the context where it will be installed, taking care over every tiniest detail to ensure it fits perfectly into your world. This is essential to create a unique kitchen, in harmony with space and time”. It all started with the ambitious aim of promoting Italianness worldwide, through innovative design, leading-edge technology, constant research and development and a passion for quality. Day by day, this concept acquired form in a company aware of its mission: to observe, experiment and achieve something different. So, from the very beginning, innovation has played a key role, together with a vocation for “tailor-made” products, reflected in attention to details and solutions allowing a high degree of personalisation, all supported by the excellent business reputation and know-how of the Scavolini Group, of which Ernestomeda is a member since 1996. The combination of industrial capability with atelier philosophy, in perfect keeping with the company’s strategy, led to the development of the Contract Division. In Italy, the Contract Business Department offers a package of services for the promotion of new projects and co-marketing activities with real estate developers. Ernestomeda also successfully meets the needs of the contract sector on all the various export markets, in spite of their widely different demands, competing effectively both in product customisation and in the various price bands, thanks to the breadth of its assortment. The flagship location, found in Vaughan Ontario, is the main showroom and service facility for both Ferrari and Maserati. The 90,000 square ft. building houses both brands separately, with individual showrooms, service receptions and service bays for both Ferrari and Maserati. In total, the new dealership has 24 service bays, a 15 vehicle showroom, an 8 vehicle drive through and a fully functional underground parking area for over 100 vehicles. The dealership also features a second floor automotive gallery and specialty boutique. Since 1968, Finica Food Specialties Ltd. has imported and distributed specialty cheese and gourmet food products from around the world. Today our offering includes award winning cheeses from Canada, Germany, Holland, Wales and Italy. Each of our brand partners are experts in their field taking pride in time honoured traditions in cheese making carried down through generations. Our range of complementary products includes unique specialty items such as artisanal dry cured deli products and all natural pâtés to fine spreads & compotes, balsamic vinegars, olives oils, vegetable preserves, sauces and crisps. WE INVITE YOU TO SHARE OUR PASSION FOR FOOD. Fogler, Rubinoff LLP is a full service law firm, characterized by resourcefulness, creativity and energy, offering its clients a wide range of services and expertise in all areas of business law. Our firm is comprised of 110 lawyers with offices in Toronto and Ottawa. We strive at all times to identify our clients' business priorities and we respond accordingly, helping our clients meet their business challenges, remain competitive and achieve their goals. At Fogler Rubinoff, we believe that making a difference begins with trust. Experience and sound judgement earn it. Client relationships are built on it. Results keep it. A privately owned group of companies, Forest Group has paved the way in diversified construction services for over two decades. Its award-winning services include professional asphalt paving, concrete construction, building restoration and snow removal across the Greater Toronto Area. Over the years Forest Group has made a significant mark on the contracting business by leading the way in committed client care and superior results. A winning combination of expert tradespeople using only the best equipment in the industry is key to the Forest Group vision and execution of services. Its growth in the diversified construction industry signals a company that sets new standards and a unique business strategy. It is built on a foundation of integrity and performance set by founder Domenic Gurreri in 1994.Among its most notable achievements that solidify its presence and leadership in the industry is the Vaughan Chamber of Commerce’s 2014 Business of the Year — Construction Services and Product/Builder award. The GIAFRA activities began in December 1996, and has almost twenty years of experience in construction, specifically in the field of public works, although his beginnings were characterized by the implementation of purely private works. The GIAFRA activities began in December 1996, and has almost twenty years of experience in construction, specifically in the field of public works, although his beginnings were characterized by the implementation of purely private works. Today Giafra mostly deals with: design and implementation of construction work; buildings, including of historical; works of civil engineering, works of consolidation and geological surveys, structural special works; design, implementation and maintenance of technological systems. The company purpose comprises the construction, management, administration, renovation and maintenance of buildings or parts of them used for civil purposes, offices, shopping malls, hotels, hostels, guesthouses, schools, hospitals, nursing houses, public and / or private garages, industrial factories, supermarkets, service stations, car refueling systems, supply systems for fuel and mineral oils, car parks, visitor centers, sports facilities, leisure center. Moreover, the construction of roads, aqueducts, sewers, railways, pipelines and gas pipelines and the implementation and management of fire systems, plumbing, wiring, sewage systems is part of what we do, together with the renovation and maintenance of properties of historical interests and the implementation of structural special works. The company has been operating for years throughout the country in the field of “public tenders”; the certifications obtained for the accomplishment are a tangible sign of a steady growth and, most importantly, customer satisfaction. In order to maintain high performance levels, Giafra, thanks to ongoing training and high-skilled employees, it is equipped with a highly competent technical and administrative staff able to deal with any kind of need. Tony G. Romano founded Global VantageTRI, a company providing a suite of strategic consulting services to its clients, including strategies for entering a new market, trade & export development, business development & lead generation, industry sector research and execution of FDI strategies. Global Vantage leverages its broad-based interna¬tional network of business intermediaries in Europe, South America, Asia and the U.S, to help companies and organizations to expand their business growth objectives. It is this knowledge, coupled with our strong local partnerships and strategic alliances, that we bring to bear to every client with a reputation for delivering results. Areas of Expertise: Research and Market Evaluation, Strategic Stakeholder Relations, Business Development, In-market Representation, FDI Business Missions. Global VantageTRI, representatives have unsurpassed experience in evaluating and delivering value-added services to its global clients. Our focus is the client, and our work is more than just providing data and information, but above all, to resolve problems that really concern the client, and understanding the client's needs and doing everything possible and, sometimes, impossible to meet them. Our collective leadership and experience have earned us a deep understanding of the needs and cultural sensitivities of businesses from around the globe. It is this knowledge, coupled with our strong local partnerships and strategic alliances, that we bring to bear to every client with a reputation for delivering results. With over 11,000 members, IC Savings (Italian Canadian Savings & Credit Union) is deeply rooted in the Italian community of the Greater Toronto Area and remains focused on its community’s needs while providing a Better Banking experience to all Canadians in the neighbourhoods that it serves…and the espresso is always on us! Connecting the right people with the right places. Founded in 2008 by Fabrizio Patuelli, ITACA is a Business Consultant in Life Sciences, ICT & Environment industries, as well as a Market Development Agent for selected manufacturers in Food processing and Beverage sectors, Pharmaceutical & Cosmetic industry, and other advanced manufacturing in High Technology sectors. ITACA’s mandate is to connect & act as a matchmaker for companies and people between Europe & North America, in addition to offer the best in European manufacturing technologies in Canada and USA. ITACA can count on Fabrizio’s 30+ years experience, 10 of which working at the Italian Trade Commission, in Montreal & Toronto, in facilitating and helping Italian companies explore and expand into the North American Market. Italinteriors Contract is a privately owned company, with 3 showrooms across Canada with locations in Toronto, Calgary and Vancouver. Italinteriors Contract provides high quality office furnishings and demountable wall systems. It is the Canadian exclusive dealer for Unifor products. Unifor is an Italian company known as the industry leader for design and manufacturing. This is the result of a profound legacy of industrialized design and craftsmanship, research and innovation, and a reputation for collaborating on projects with the most prolific architects and designers around the world. Italinteriors Contract offers product solutions for a wide range of clients in various market segments: corporate, commercial, government, healthcare, educational and cultural institutions, including specialized environments such as laboratories and libraries. Italinteriors Contract is organized to serve customers around the world with dedicated resources that are knowledgeable and experienced to service global clients with a high level of service. Italinteriors and Unifor have a consultative and unique approach to resolving individual clients‘ needs, creating elegant solutions that are highly functional and timeless; with longevity and quality always at the core. 100% Canadian wheat combined with modern Italian technology and made in Canada with the utmost care - that’s the Italpasta secret to creating great tasting pasta...for pasta lovers! The story of Italpasta begins many years ago when Joseph Vitale fell in love with food in his mother’s kitchen in Bari, Italy when he was just a little boy. Almost 30 years later, Italpasta is still driven by that same passion and love for food. Thanks to a dedicated team, Italpasta is a leader in retail, food service and private label manufacturing. Italpasta also markets an extensive range of imported food product including sauces, tomatoes, olive oil, vinegar, and beverages - all essential elements to creating a truly Italian-inspired meal. KBE is a leading information consulting firm, which specializes in the area of IT and information security. KBE Security Solutions and Consulting Services approach is global: we provide highly experienced services that range from value added security implementation, risk and threats assessment, to security governance and program management, to organizations engaged in high-priority IT projects. Our KBE specialists -with over 200 certifications- are committed to serve you at each stage of the journey, helping you in developing solutions specific to you, and integrating it into your new business focused environment.Thanks to our consultants and professional services, we will help turn your IT Infrastructure from a cost center into a value creator. We can analyze your current environment, balance risk with opportunities, align compliance needs, security and privacy controls, and assess your IT infrastructure. We are available to develop policies, architectures and strategies to help your organization identify and protect what’s most important, ensuring confidentiality, integrity and availability of your data and systems. Our experts have the right combination of business and technology backgrounds to provide you with appropriate solutions to your IT needs. A Toronto landmark since 1984, the elegant yet relaxed décor is the perfect backdrop for any special occasion or a casual night out. Knowledgeable service staff takes exceptional care to ensure that patrons are treated as honored guest and part of the family. 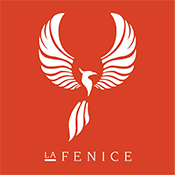 LCA is an independent law firm, composed by 50 professionals with a renowned international experience and specialized in company legal assistance, with premises in Milan (headquarters), Genoa and Treviso – inside the venture incubator H-FARM. 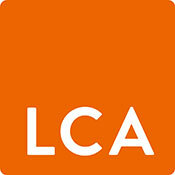 LCA offers a complete legal assistance and consultancy service, principally addressed to Italian and foreign companies and financial institutions, in commercial, corporate, banking, finance, tax and real estate law, in labour and immigration law, in competition, transportation, intellectual property and new technologies law, in art and family law and in the protection of family assets. A family-owned organization, Longo’s first opened its doors in Toronto in 1956 and now boasts 29 stores across the GTA including 5 small format “The Market” by Longo’s. Grocery Gateway, the leader in online sales of home delivered groceries, is owned and operated by Longo Brothers Fruit Market Inc. since 2004. Inspired by their Founders and their commitment to a Fresh Tradition, the Longo’s team hand selects fresh produce for its stores six days a week. Longo’s food experts are dedicated to exceeding customer expectations by offering the best food experience and a great value to every customer, every time by providing Fresh & Unique Offerings, Everyday Foods & Groceries, Services for Ease, Education and Ideas. Since 1995, the Marcozzi company, Campofilone (FM), operates in the production and commercialization of artisanal egg pasta, proposing high quality food specialities. Our company is young, dynamic and constantly evolving. The Marcozzi specialities have grown in number during these years and they have become the symbol of the bond between Tradition and Innovation. That’s because our family-run company has been able to respond to the market needs thanks to our deep sector knowledge and the care in producing high quality artisanal pasta. For the Marcozzi pasta-makers, the origin is everything. That’s because everything is born from a land of unparalleled tradition: Campofilone. Here the secrets of the past fuse together with natural ingredients in order to bring a healthy and genuine product to life. Only no-GMO durum wheat semolina and fresh eggs, without colourants and preservatives. A bronze-die extruded and slowly dried egg-pasta, with a soft and thin dough, quick to cook and with an excellent cooking yield. The ideal choice for the most creative recipes. Since 1986, Martin Daniel Interiors has committed itself to customer satisfaction based on specific criteria. Quality, selection and service are its most important considerations, and employs resident interior designers and revitalizes its showroom weekly. Matte PR is an award winning public relations agency that executes results-driven campaigns for governments and other agencies. We are a 360° consultancy that works to deliver insights and identify opportunities by bringing talent together across departments. We connect brands with the right collaborators to create campaigns that garner results through securing valuable media coverage and digital impressions. Our strength lies in our ability to strategically package our clients’ ideas, products, services, and stories to engage with multiple audiences across the media landscape. We offer a fresh approach because we understand the Canadian consumer: what they buy, what they wear, where they shop, what they eat, and how they are aspiring to live. Concreta Cucine (www.concretacucine.it/en/), manufacturer of modern and classic kitchen cabinetry. Imab Group (www.imabgroup.com), manufacturer of bedroom and living room sets. Artigiana Letti (www.artigianaletti.it), manufacturer of modern and classic upholstered beds. Gp Sofà (www.gpsofa.com/en/home), manufacturer of modern and classic sofas and sofa beds. Eurosedia Design (www.eurosediadesign.com), manufacturer of tables and chairs. Sitap (www.sitap.it/index/en), designer of high quality area rugs. Under the Mobil Clam Canada umbrella, all of these companies are well positioned to manufacture and distribute their products in compliance with Canadian regulations in a timely and professional manner. Mobil Clam Canada works in synergy with its customers, acting as transparent interface between customers and the suppliers represented. With these representative brands Mobil Clam Canada is confident that can offer its clients the best products on the Italian market today combined with the highest level of customer service and support. Mobil Clam Canada imports and distributes the finest selection of affordable italian furniture, in fact, Mobil Clam Canada’s purpose is to import and distribuite furniture at the best price/quality ratio. On request, for retailers, Mobil Clam Canada offers layout design services, and consultancy in choosing the most appropriate strategic positioning for the target market. Olitalia Group is one of the most important companies in the Italian oil and vinegar sector. Olitalia Group offers a unique range of products, such as Extra Virgin Olive Oil, Regional Olive Oils PGI, premium seed oils, wine vinegars and Balsamic Vinegar of Modena PGI/PDO, all of which are also available for the food service sector. This rich assortment of products has been created to satisfy a complex and constantly changing market, relying on the great expertise we acquired over 30 years and on our ability to read the current market trends, thanks to a constant search for innovation. At Olivieri, we’ve been crafting fresh Italian pasta and sauces for over 60 years. Our roots began in 1957, when our founder, Petronio Olivieri, a proud Italian immigrant from the wine region of Fruili-Venezia Guila, opened his first ravioli shop in Vancouver. We never looked back since! Today, our fresh pasta and sauces are loved by millions of Canadian families across the country. Petronio’s love and passion for quality, authentic Italian crafted pasta continues to inspire our team, our work, our products and our Olivieri brand. We believe that food is not just for feeding our body, but it is one of the many pleasures of life. It fuels our emotions, our culture and, most importantly, our relationships with the people we love. Today, we are the #1 brand of fresh pasta, gnocchi and sauces in Canada. Olivieri pasta and sauces are made fresh using the finest ingredients to deliver exceptional taste and quality. Only Olivieri brings you the joy and passion of a real Italian meal! Oretta first opened her doors in 2017 to provide Toronto’s vibrant King West area with an authentic yet modern-day Italian culinary experience. You enter Oretta’s main dining area to soaring arches that marry historic Italian architecture with stylish décor for a chic-casual dining environment that’s grounded in tradition. Our exclusively Italian menu consists of many authentic Italian classics representing various regions of Italy using only the finest of ingredients all prepared with modern-day flare. Whatever the occasion or event in our dining rooms or caffè, our over-riding commitment to our guests is to provide the best dining environment, service levels and overall culinary experience that Italian hospitality has to offer any-time of day, 7 days per week. The estate is surrounded by mature oak woodland, crop fields, and olive groves. From its vineyards - extending over 20 acres - red and white Umbria IGT and Colli del Trasimeno DOC wines are produced from the local grape varieties Sangiovese, Canaiolo, Gamay del Trasimeno, Grechetto and Vermentino. Organic farming techniques and respect for the local wildlife have preserved the mellow beauty of the territory, making the estate one of the most uncontaminated and peaceful natural oases in the area. The estate develops over 130 acres of woodland, arable land and vineyards. Production is small and focused on quality at all stages of production - through low yields, rigorous grape selection and manual harvesting. We produce mostly reds with a prevalence of Sangiovese, together with Gamay del Trasimeno, Canaiolo and Merlot grapes. We also make two whites with the local varieties Grechetto and Vermentino. In 2016, owing to a shortage of white grapes following the replanting of part of the vines, we bottled our very first rosé. New wines are researched and developed with the supervision of French oenologist Jean Natoli, whose collaboration is at the heart of the continuous improvement of the wines over the years. The estate award winning wines have been rated among the best in their categories at international contests. Reliq Health Technologies is a publicly traded healthcare technology company that specializes in developing innovative Software as a Service solutions for the $30 Billion Community Care market. Reliq’s iUGO Care technology platform is a comprehensive SaaS solution that allows complex chronic disease patients to receive high quality care in the home or other community-based setting, improving health outcomes, enhancing quality of life for patients & families and reducing the cost of care delivery. SPIRAL BELT CONVEYORS FOR THERMAL TREATMENT OF FOOD PRODUCTS, packed or unpacked, complete plants from conveying to handling, which satisfy all the phases of production and, for this reason, they are mainly used in the treatment of bakery products, dairy products, processed fruit and vegetables, meat, ice cream and desserts. PASTA MACHINERY Fresh or dry pasta, ready meals, filled, special, pre-cooked, pasteurized, frozen pasta, gluten-free or not, using or not special flours: there are no limits to the customization of our industrial plant of pasta production. We sell TECHNOLOGIES and SOLUTIONS not only machines, not only motor but the complete automation system and not only temperature control but the complete installation to make the product safe and guaranteed. As a global company Sarp counts 4 sites worldwide, one of those is Toronto Branch that can support you to develop your projects and to have immediate after sale. Saverio’s Italian Food born as a result of a deep passion for good food. Our goal is to propose and spread all the Italian gastronomical excellences, making a careful selection of first quality products. Italy is known for its delicacies, which represent a true gastronomic heritage able to offer an authentic experience, by travelling through smells and tastes that can improve the richness of their origin. Proudly Canadian, with headquarters in Stellarton, Nova Scotia, Sobeys Inc. has been serving the food shopping needs of Canadians for more than 108 years. Sobeys owns or franchises approximately 1,500 stores in all 10 provinces under retail banners that include Sobeys, Safeway, IGA, Foodland, FreshCo, Price Chopper, Thrifty Foods and Lawtons Drugs, as well as more than 380 retail fuel locations. Our five core retail food formats, from our full service to the convenience format, are each tailored to satisfy the unique occasion-based needs of our customers. Our Company’s purpose is to bring better food to Canadians by helping them Eat Better, Feel Better and Do Better. Our research has shown that Canadians want to make better food choices. At a time when they are looking for leadership and advice from people they trust, we’re dedicated to helping our customers experience better food by providing fresher, healthier choices and delivering exceptional food experiences. Sobeys, its franchisees and affiliates employ more than 125,000 people from coast to coast. Together, we are on a mission to advance our purpose and use our skills, experience and passion to change the relationship Canadians have with food. More information on Sobeys Inc. can be found at www.sobeyscorporate.com. Solari is a recognized world leader in designing and manufacturing Display Information Systems, Ticketing Systems, Lighting Systems, Parking Management Systems, Queue Management Systems, Data Collection, Industrial Clocks. Solari has currently installed about 3,000 systems of various types worldwide (airports, railways, highways), which conﬁrms its consummate leadership position in the international market. Solari is the company of Time. We have revolutionized the way in which we view it and express it to people. At the beginning of the 20th century Remigio Solari invented the split flap system and in 1956 created the 1st Railway information system at Liegi train station. Since then, Solari’s solutions extend from engineering to production, providing a high level of customization, combined with after sale support. Solari has operated in the USA market since the 1960’s, for example supplying the world renowned split-flap displays - in 1962 for the iconic TWA Terminal at JFK Airport - New York, or the display for ABC Television in New York during the United States Presidential election in 1964 and 1968. Nowadays Solari Corp is a highly regarded brand name, capable to supply products and services to primary clients such as New York City Transit, Long Island Rail Road, New Jersey Transit, TriMet - Portland, Metro North Railroad, MBTA - Boston, and Fort Collins - Colorado. Stikeman Elliott is one of Canada’s leading business law firms with 500 lawyers in five offices across Canada as well as in New York, London and Sydney. The firm is recognized by Chambers Global, the IFLR1000, Lexpert and other publications for market-leading corporate finance and M&A teams with an exceptional track record in major cross-border and multijurisdictional matters. The firm is recognized as a Canadian leader in each of its core practice areas – corporate finance, M&A, tax, corporate-commercial law, real estate, banking, insolvency, structured finance, competition/antitrust, employment and business litigation – and is regularly retained by domestic and international companies in a wide range of industries including financial services, insurance, technology, communication, transportation, manufacturing, mining, energy, infrastructure and retail. Founded in 1992 by owner Cosimo Mammoliti and his friend Paolo Scoppio, Terroni began with the same foundation that it stands upon today — tradition and quality. With its three Toronto locations, two in Los Angeles and sister restaurants La Bettola di Terroni, Bar Centrale and bakery Sud Forno, each location serves traditional authentic Italian menu in a casual, relaxed atmosphere. The Sorbara Group is the trade name for a group of privately owned real estate development, management and investment companies. The Group has been a pioneering force in the real estate industry. THE SORBARA GROUP owns, operates and manages over 6.5 million square feet of industrial, commercial and office properties, a residential apartment portfolio and owns hundreds of acres of land in various stages of development in and around the GTA. THOR & PARTNERS INC is a full stone, tile and grout restoration company. Our expertise is in natural stone, granite, limestone, concrete, quartz, porcelain, and terrazzo. Starting out from general cleaning in Italy in 1978, we gradually focused on specialized cleaning, thus developing that very know-how and competence that today enable us to restore the original intact conditions of all kinds of surfaces and constructions, ranging from concrete to glass, from marble to granite, from terrazzo to concrete, from private houses, to hotels, to shopping centers, to condos. 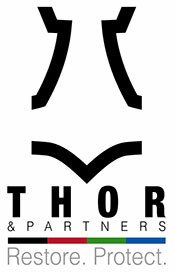 Right from the beginning, THOR & PARTNERS has aimed at living up to its clients’ expectations by investing in quality and specialization as its trademarks. The rigorous staff recruitment, the constant technical-practical training and the most advanced equipment make it a competitive and reliable company in all Europe. Use of innovative technologies by constantly paying the due respect to appearance, environment and surface quality. The CEDC is responsible for business development, retention and expansion, entrepreneurial support, opportunity promotion, and the collection and assessment of key business data. Incorporated in 2006, CEDC is an arm’s length Community Development Commission led by an independent board with core funding from the City of Thunder Bay. The CEDC receives formal proposals for projects that will contribute to economic development. It responds quickly to new opportunities and initiatives to attract direct financial involvement from government and private sectors. The CEDC’s staff will assist businesses in attaining information essential to their decision making. Located within CEDC’s administrative office, the Thunder Bay & District Entrepreneur Centre provides seminars, workshops and free and confidential business counselling services to new and existing small businesses. Since 2015 TNEXT ensures it’s residential and business customers in Ontario and Quebec experience an amazing journey while connected. TNEXT's focus goes beyond providing comprehensive telecommunication and IT solutions tailored based on customer's need. As a fast growing company within Telecommunication industry, our mission and philosophy is to stay connected with our customers. Trento Kia was founded by Renzo Moser in 1959 after emigrating from Italy. The original location was on Lansdowne Ave. in the west end of Toronto and wasn't a dealership at all, but an auto garage. Then, in 1973, we moved to our current location at 5395 Steeles Avenue West and have been a neighborhood landmark ever since. The company is named after the town of Trento, Renzo's birth place, nestled in the alpine hills of northern Italy in the region of Trentino. Originally, Trento sold OM trucks from Italy. Trento Kia has always been a trail blazer in the Canadian auto market and, in 2000; we became one of the first Kia dealerships to open in Canada. Trento Kia always has been, committed to providing its customers with exceptional value and extraordinary customer service. Our Mission at Trento Kia is to identify, fulfill, and exceed our customer's needs and expectation. Our aim is to provide an ownership experience that is second to none and we've been doing just that since 1959. Let us put our decades of experience to work for you. Two Sisters, One Vision - an extraordinary wine and culinary experience. In the warm Niagara River appellation, one discovers the magnificent family-owned Two Sisters Vineyards. Under the guidance of Angela Marotta, CEO and Melissa Paolicelli-Marotta, Chief Marketing Director, the landmark estate was conceived to celebrate Niagara-on-the-Lake wine country’s beauty. Its grounds were laid out like the wines – with respect for nature and designed to elevate the everyday. Since opening its doors in 2014 the winery remains committed to the pleasure and enjoyment of the discerning visitor, from gracious facilities to extraordinary Niagara winery and culinary experiences. An impressive portfolio of premium wines ranging from complex, full-bodied estate reds to stylish terroir-driven Escarpment whites has garnered numerous accolades and awards in Canada and abroad. Inspired by the Italian table, Kitchen76 restaurant at the winery quickly gained recognition nationally and beyond as a premiere Niagara destination. In 2017 it was designated as one of the top 100 restaurants in Canada. A proud print supplier for the ICCO for over 15 years. United Graphics is a commercial printing company offering a one-stop solution for all your printing needs. Our services expand from commercial (offset), digital colour and B/W to digital wide format printing. Our success in the printing industry has been a direct result of our commitment to excellent customer service. Our customers needs are always first and foremost our top priority. 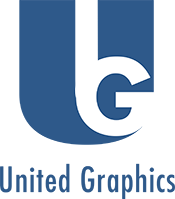 For your next project consider United Graphics to be your print partner! XAUXA makes innovative chocolate that is organic, vegan, dairy free, and gluten free. We don’t add any cocoa butter, but only use that naturally present in the cocoa beans. Our chocolate is then cold-worked in order to preserve the cocoa’s beneficial properties, such as antioxidants, and its extraordinary aromatic notes, fully revealing the terroir of each provincial origin. In order to guarantee the outstanding quality of our products, we use the finest organically-grown ingredients and the most exciting combinations. Only real ingredients go into our bars (from hand-peeled oranges, hand-picked almonds and pistachios, to manually harvested sea salt), which we source in a sustainable and transparent way, as we are committed to products that are fully clean-label. We never use additives, preservatives, or emulsifiers. We are determined to make chocolate that is scrumptious, yet fair to the consumer, to the planet, and to our animal friends. Established in 1973, our philosophy is simple, we want you to be moved; physically and emotionally by our automobiles. Our selection of automobile dealerships is the finest the import market has to offer across Toronto. With over 35 years of retail automotive experience we offer superb professionalism and group purchasing power. Our service, parts and collision facilities are top notch and always prepared with the latest equipment and technology available. As a Zanchin Automotive Group Preferred Customer, you will always enjoy all of the benefits of our Preferred Customer Club. This is the value of purchasing and servicing with The Zanchin Automotive Group. Zero 20 Kids is an independent children’s designer clothing store with an extensive collection of popular name brands. Zero 20 Kids has everything from casual to formal wear starting at newborn to size 20 pre-teen. We not only have a substantial selection of name brand clothing, but we also carry shoes, undergarments, and accessories. We have everything you need to dress your children from head to toe in every season and for all occasions. Our intention is to provide trendsetting fashion and unique brands to inspire your child’s sense of style and give parents an incomparable selection to choose from. Over the last 35+ years, we have developed the reputation of being the #1 place to buy your child’s attire for their special occasions, including but not limited to, Baptism, First Holy Communion, Flower Girl/Ring Boy, Bar/Bat Mitzvah, Confirmation, and Graduation.